Start your day in a colorful way. 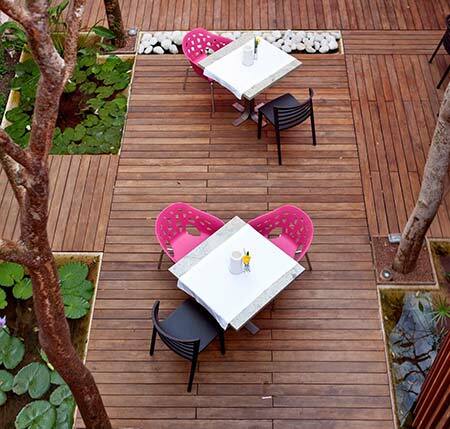 Sit in the hot pink patio courtyard and sip on a bright green chaya juice, before tucking into a tasty cooked breakfast, freshly baked pastries or a rainbow of fresh exotic fruit. While you enjoy the ambience, you can take in the impressive design that won this hotel an architectural design award in 2011. Chocolate lovers should exit via the gift shop to check out the selection of artisanal chocolates. Head back into the center for a bit of retail therapy. 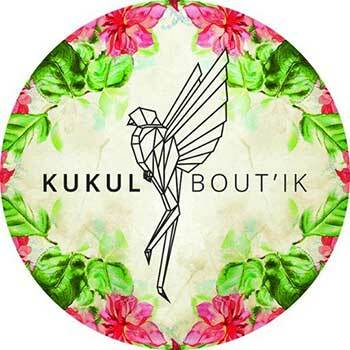 The Kukul Bout’ik is a great place to purchase a selection of beautiful handmade pieces from Yucatan and beyond. Here you will find many pieces of traditional Mexican embroidery with a contemporary touch. 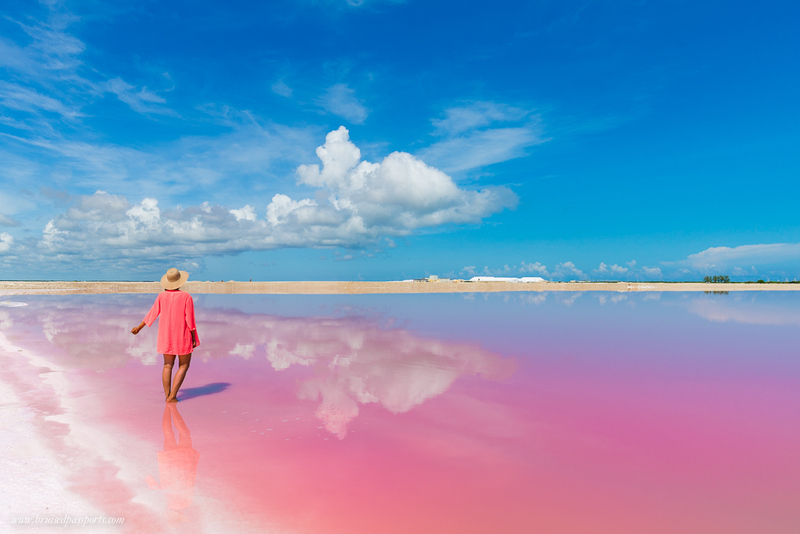 Think colorful Mexican blankets made into shoes, embroidered iPhone cases and Huichol beaded vases and you will have an idea of the delights on offer. 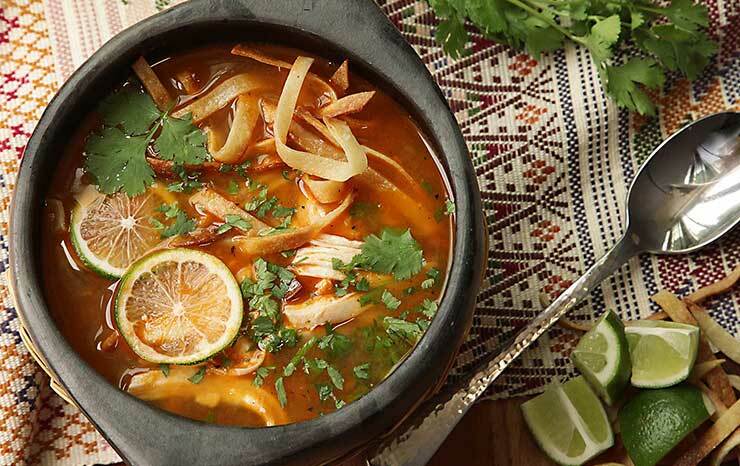 Having built up an appetite, grab a taxi and head outside of the center to Nectar to enjoy a taste of New Yucatecan Cuisine. 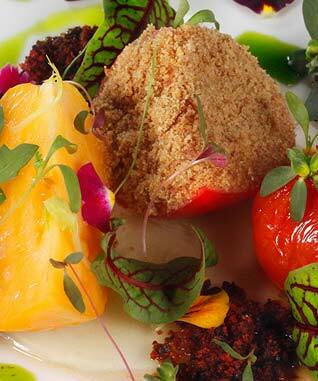 Chef Roberto Solis creates local specialties like suckling pig and deer using avant-garde techniques and contemporary minimalism. 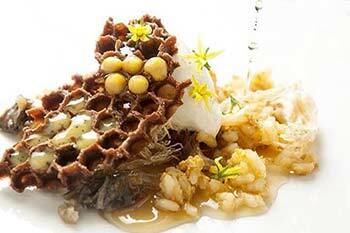 The dishes are as beautiful as they are tasty and the modern space creates the perfect ambience to enjoy it. Take time to enjoy a starter, a main and a dessert to taste all of these modern Yucatec flavors. 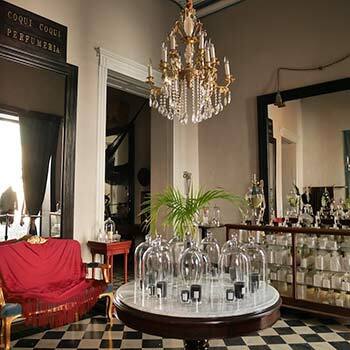 Located right next door to the Fundación de Artistas is the Coqui Coqui Perfumery and Hotel. 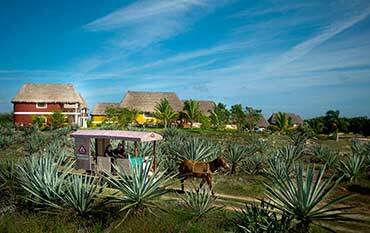 These hotels and their Yucatan inspired scents have become legendary in the peninsula and beyond over the last few years. In the perfumery you will likely rub shoulders with trendy fashionistas popping in to stock up on the perfumes which boast aromas such as tobacco and orange blossom. You might also want to ask for a tour of the hotel too. 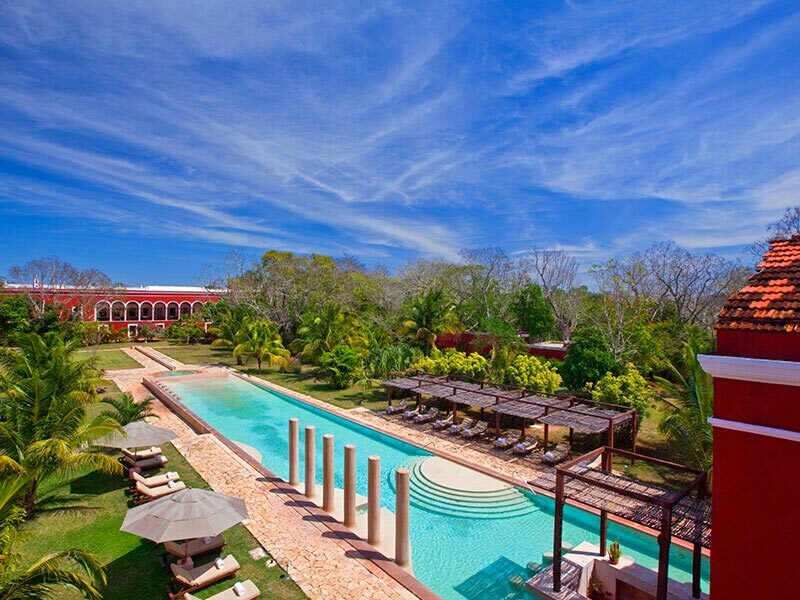 With just one bedroom, its own pool and spa, it is worth checking out. Take a leisurely stroll through the city towards the Fundación de Artistas. 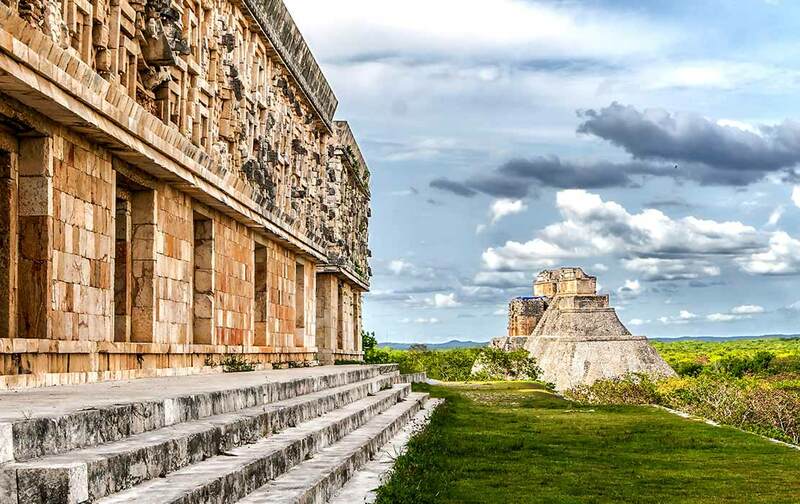 This nonprofit arts institute in the Yucatan Peninsula is set in a beautiful building, which centers on a pretty courtyard. 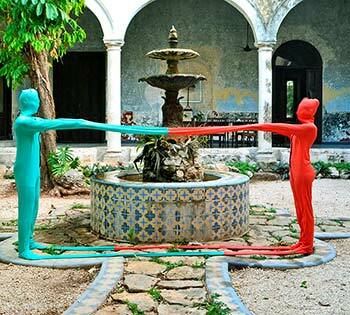 Exhibitions here are often inspired by Yucatec themes and feature local contemporary artists. 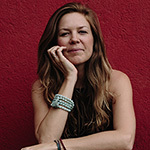 There are a number of artists in residence so if you are lucky you may get a chance to chat with them about their work. 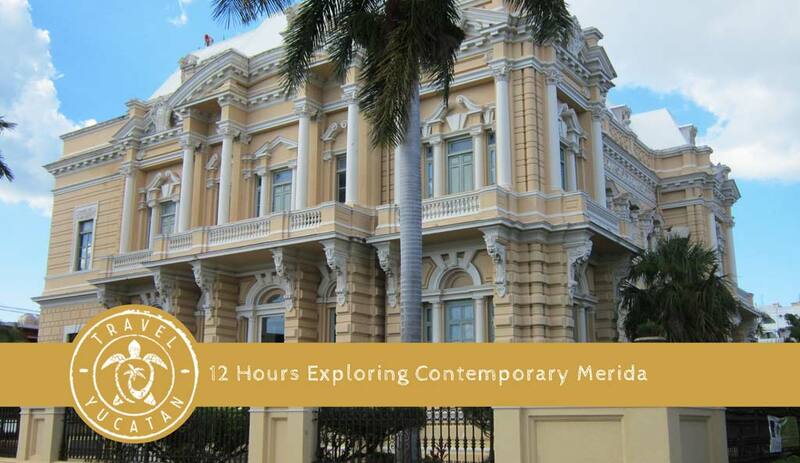 End your exploration of contemporary Merida at K’u’uk. Pedro Evia is another chef bringing a new face to Yucatec cuisine. Using techniques that not only wow the diner but create great flavors, eating here is an exciting experience for all the senses. Allow yourself a few hours to leisurely work through the 11-course tasting menu that is a journey through contemporary Yucatan on its own.